Do you still have those old model televisions at home and still works great? We do, in fact, we have at least 3 working television right now that we are still currently using. The pictures and resolution still work great, can hook up to our DVD player in which we prefer to use rather than a Blu-ray [because it is much cheaper to rent]. Also, why wasting a good television when you still have them, might use it until they’ll last and then, it’s time for a new replacement. Since there are Hdmi cables that we connect to the laptop or PC, the old television doesn’t have any of those. And if you want to watch a movie from your laptop to your older television a converter would be convenient and would make it more possible to happen. Today, that will be tested. 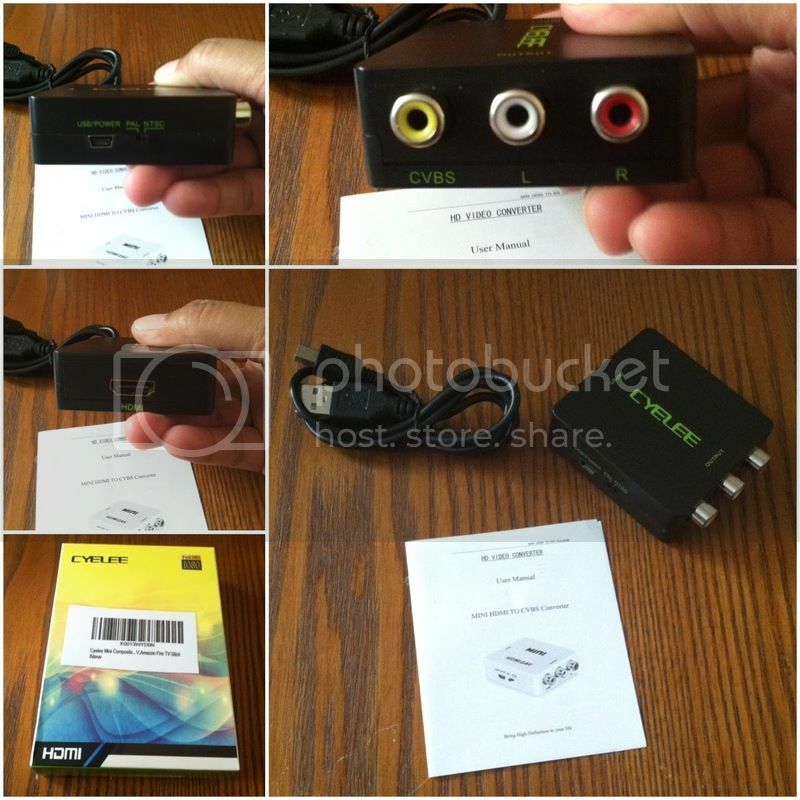 I have the opportunity to test and examine the HDMI To AV RCA CVBS Composite Video Audio Converter for old TV from Cyelee. There are different manufacturer’s but I guess I got lucky to be able to get approved from their generous company. This would give me a 720P/1080P, and I am really hoping this would work on our vintage television. The product arrived in the mail via UPS, it is sealed properly on its labeling box that contains some information and the features of the item. I don’t see any signs of damage that I was able to test it immediately. This product is very handy. The dimension is just right that won’t take space on your counter. It is also lightweight. The black color is vivid and the writing on it is also clear to find the right cable to connect. The manual that comes with it has a very tiny writings, better get your magnifying glasses ready. Though it only tells a little detail and precautions about the product still, it’s nice to be well aware about it. Connecting the RCA CVBS composite to the red, white and yellow cable to the television and an HDMI cable from the converter to my laptop is quite very simple and quick to do. Now, the part in which you’ll have to find what channel I can play. Judging from what I experience, I can see my laptop’s screen on AV1. Now, resolutions would depend on your TV on how vintage they are or not. Mine’s pixels are just right. Not High Definision but definitely I have the 1080P. I can also play ROKU using the converter.